Associate Degree in Nursing is the minimum education requirement for the RN license examination. This is typically a two-year program that is offered at community colleges and a few universities. The Associate Degree in Nursing is designed as a quicker option for students seeking to enter the nursing profession than the traditional 4-year BSN program. The AND program is a 2-year full-time study program which can also be completed in the three to three and a half years of part-time study. Students who have not completed the required preparatory courses will also take longer than the standard 2 years. This education can easily be transferred to a Baccalaureate program (usually called an RN to BSN program). Associate Degree's in Nursing is offered at community and junior colleges. The program is designed to be more flexible to allow students who need to maintain employment. Most programs offer you the chance to complete at least some classes in evening class hours or online. There are accelerated programs out there where you can have your ADN in 8 or 9 months. But keep in mind, the shorter the program, the more it will cost you and the harder the curriculum will be. All the training that is typically provided over a two-year program will be crammed into half the time. So even though it is very tempting, it will be much less stressful and cost less to stick to the traditional two-year program. The ADN curriculum comprises of basic nursing courses such as anatomy and microbiology but it is a primarily a technical degree that focuses on teaching students the practicalities of nursing. Clinical opportunities are offered in a variety of healthcare facilities including assisted living facilities, public health departments, and hospitals. Associate degree programs focus on learning advanced technical skills and performing patient assessments. These programs also consist of classroom and clinical or hands-on learning. Clinical experiences typically include areas such as mental health, med/surgical, labor/delivery, emergency room, and home health nursing. After you complete an associate degree program, you will be ready to provide bedside care, work with patients suffering from common and rare health problems and provide wellness education. 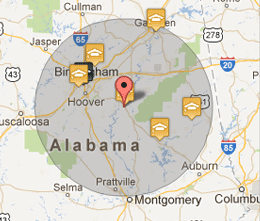 A high school diploma or equivalent is the basic requirement for most ADN program. Most programs will require you to have completed background work in algebra, statistics, physiology, nutrition, microbiology, and chemistry before enrollment. Entrance to most accredited ADN programs also requires pre-entrance examinations like HESI A2 and TEAS as well as health assessment, criminal background check and appropriate level of CPR certification. Some program may ask applicants to show proof of completed Certified Nursing Assistant Training. The financial cost of the ADN program differs widely according to the various types of institutions offering the program ranging from the community colleges to private universities. You can generally find ADN programs on the lower range of the spectrum offered at technical colleges, junior colleges, and community colleges. The costs for the program include all non-tuition financial burdens such as textbooks, uniforms, insurance, equipment, and living costs although these costs tend to be much lesser than for students in four-year programs. Some employers reimburse Registered Nurses the cost of tuition allowing you the opportunity to return to school to complete further education. An associate degree is a good option for those with limited finances due to the short length of the course and also because they are normally conducted at two-year colleges. Two-year colleges are almost always less expensive than universities.